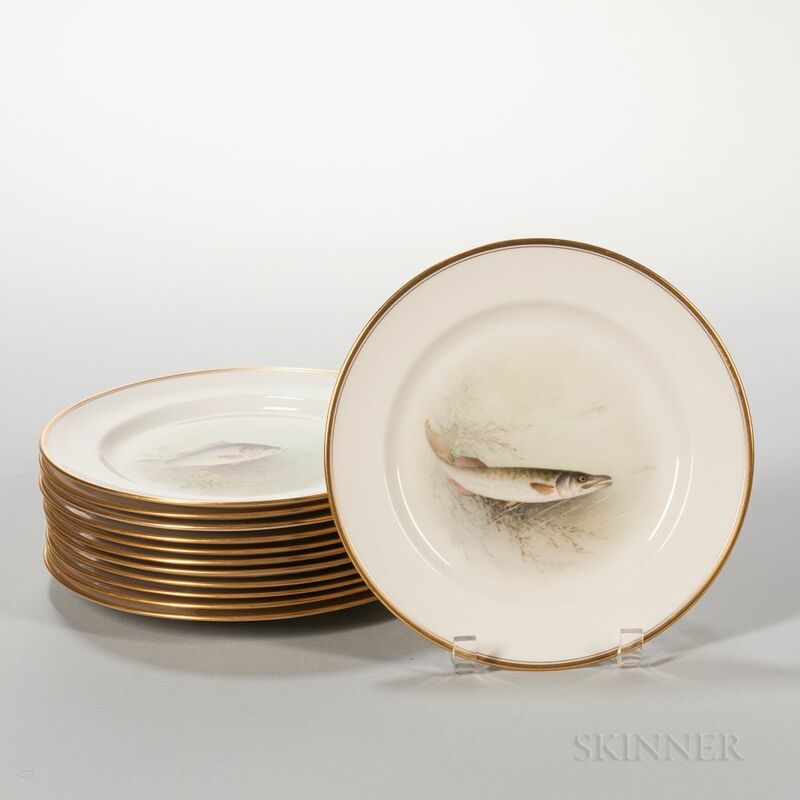 Twelve Lenox China Hand-painted Fish Plates, Trenton, New Jersey, early 20th century, each with gilt banded border and polychrome enamel decorated with variety of fish, artist signed "W.H. 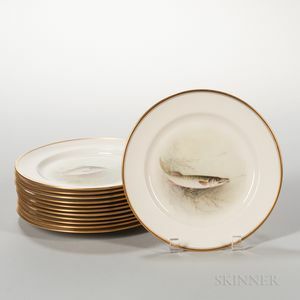 Morley," titled and printed mark, dia. 9 in.